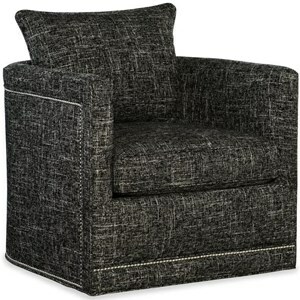 Add this chic accent chair to just about any room in your home for that extra little bit of decorative magic. 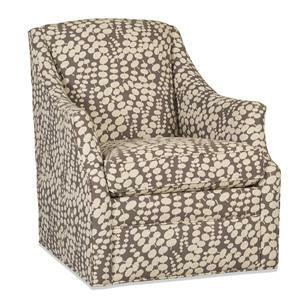 This chair is contemporary in design, and features contemporary design touches like track arms, tapered block legs, and a high and tight attached back. The back cushion will hug your body with high density foam, resilient and soft, and extra comfort can be found in the deluxe blend down seat cushion giving you a soft and supportive seat. The Sheridan Contemporary Club Chair with Exposed Wood Feet by Sam Moore at Darvin Furniture in the Orland Park, Chicago, IL area. Product availability may vary. Contact us for the most current availability on this product.